The iPad is coming to Wal-Mart. Steve Jobs last seen on aisle three. First it was only through Apple. Then you could buy an iPad on Amazon. Next came Target and apparently the next stop is Wal-Mart. It’s not the first Apple product to hit the discount store shelves, as Wal-Mart has been selling the various iPod models for the past few years. Given Apple’s massive success in outlets other than its own, it’s also not surprising. MacRumors has gotten its hands onto a couple of “spy shot” photographs that detail the stock and launch prices of the iPad for Wal-Mart, which will reportedly be sold in 1,000 of the company’s stores in the US as soon as next week. 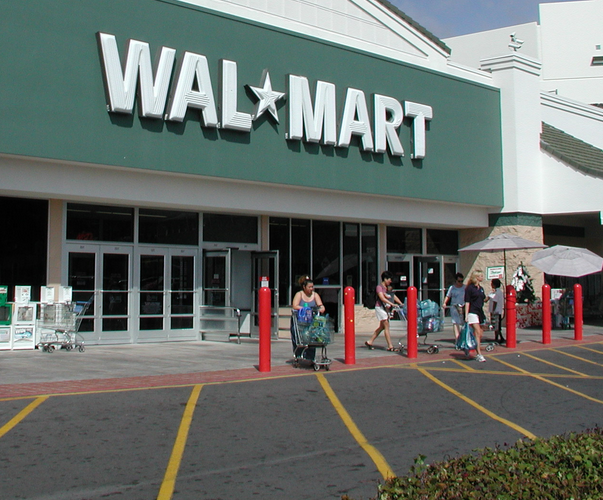 Wal-Mart is said to be aiming for an additional 800 outlets within November. Surprisingly (or maybe not?) There is no discount on the coveted slate as there was for the iPod devices. Though the discount was slight ($5-$7, depending on model, if memory serves me correctly) it was still enough to entice people to buy from the retailer instead of through other options. There’s the story, as we’ve seen it so far. We’ll of course keep you updated if we find any additional information, but chances are that you’ll be able to snag the coveted device right alongside a case of generic cola and Sam’s Choice pretzels for some Christmas-morning enjoyment. Whether you are still making excuses to not buy an iPad, or if you’ve finally been convinced that there’s no excuse left, sales of the device will be skyrocketing this holiday season.